GoPro CEO, Nick Woodman, has recently confirmed that his company is committed to making a huge difference in the fast-growing drone market. Even more, Woodman talked about a spherical six-camera that can capture content for virtual reality applications. He also mentioned that GoPro is working on its own quadcopter which will be available for sale pretty soon. 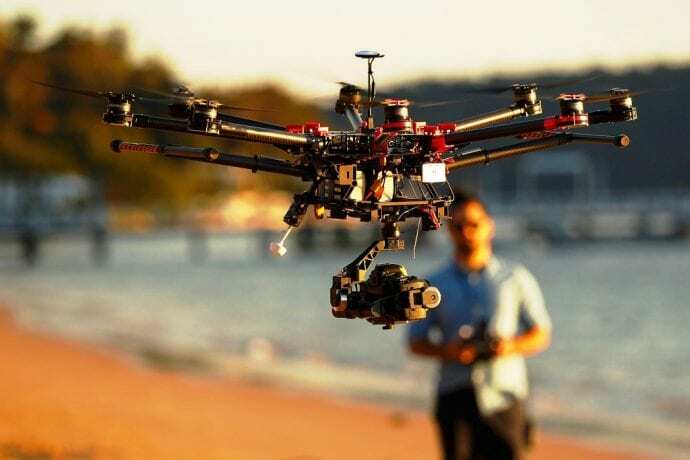 Being a consumer-oriented company, the drones produced by GoPro will compete with other well-known brands like Parrot’s Bebop or the DJI’s Phantom series, instead of the high-end professional gear such as Alta. But, until we get to see a drone actually designed by GoPro, let’s see the best quadcopter for GoPro on the market. These are drones that offer the possibility to mount a GoPro instead of being equipped with a built-in camera. Some schools of thought argue that it is better or more profitable to buy a quadcopter for Gopro than other related products. The benefits are not farfetched, they get up in the air as fast as possible, and they have replaceable parts. Quadcopters are small works of art that pack a lot of technical stuff like wires, batteries, flight controllers, motherboards, and others. This is why it’s important to understand the main technology before actually thinking about buying one. RTF – This simply means ‘ready to fly’. Just like the name suggests, it comes with all the things you really need to fly starting from the transmitter to the batteries. BNF – It means ‘Bind-n-fly’. You may wonder why some quadcopters on eBay and Amazon tend to be cheaper. The reason is not farfetched; they don’t come with any controller. If you are using these quads, you must have a transmitter or a controller. FPV – It is regarded as First Person View. This drone comes with a live video feed. With it, you can easily view whatever the camera is seeing. 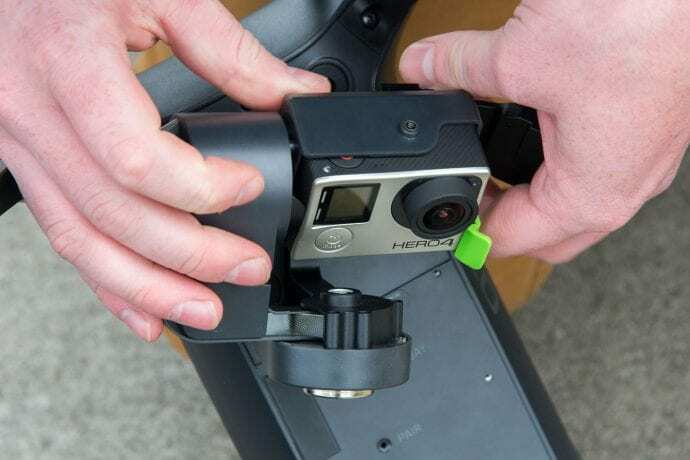 Gimbal – This piece of machinery stabilizes your GoPro on the quadcopter and allows you full control over the camera. If you are interested in having a smooth video, then it is recommended you buy the best one. Flight time is determined by the batteries. Most GoPro quadcopters have a varied flight time of between 20 to 60 minutes. Always opt for drones with a longer flight time since longer flight times mean more fun. Drones like the DJI Phantom Aerial and the DJI Phantom 2 have an ability to stretch their flight time up to 300 minutes if you add more batteries. These makes then the best in this feature. The GoPro quads are suited for commercial uses. This is why the quality of images is central to the preference when buying. So, don’t just buy cheap, buy quality. If the two meet, the better. In this classification, the DJI Phantom Aerial UAV, the 3DR IRIS+ and the DJI Phantom2 reign. On the other hand, the 3DR Solo Drone and the Blade 350 QX3 drones are also preferable as their cameras aren’t welded. This gives you a chance to select the very best camera for your drone. Most of the drones reviewed above are easy to set up. Then again, some of them that are modifiable like the 3DR Solo drone, and may prove a little challenging to some. The designers of the bots intended to have them easy to control via mobile phone applications. Thus, all of the above drones should be easy to control. Here you will examine two types of cost. 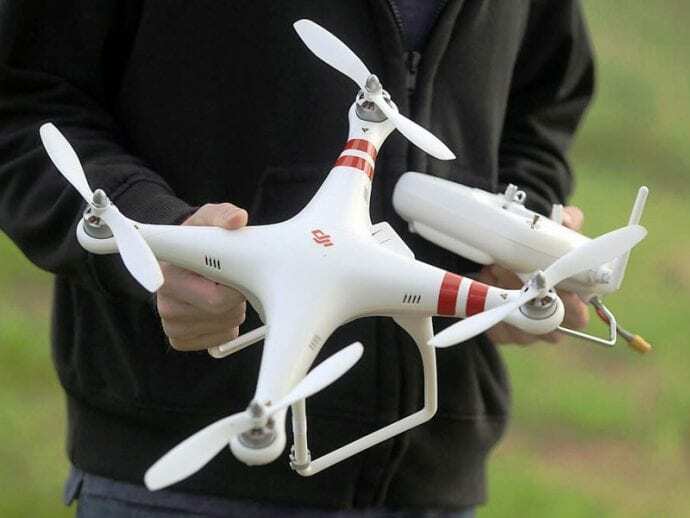 First, you will examine the buying cost of the drone and later the drone’s maintenance cost. In the maintenance cost, you will need to evaluate the cost of replacing malfunctioned parts e.g. batteries, cameras etc. Never rush to make an order before you agree with the accompanying components of any of the above drones. Most of the drone sellers sell the drones in parts. This may turn tricky if you just buy without confirming. Do you want to buy a quadcopter for filming amazing videos and stunts but don’t know where to start? Are you interested in buying any of the top quads in the market? Then, you don’t need to worry because you have landed in the right place. 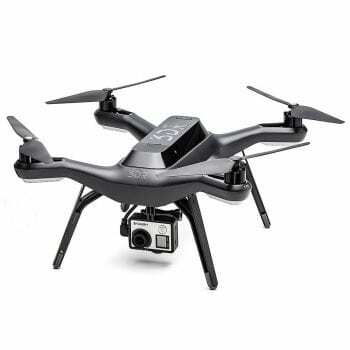 We will carefully take you round the top 5 ready-to-fly drones that support GoPro for sale. This will help you make the right choice. When buying your drones, it is necessary to consider these factors. Also, take the time to read through some of the drone reviews online. As a new drone pilot, ensure you acquaint yourself with general rules of safe flying and airspace regulations in your country. 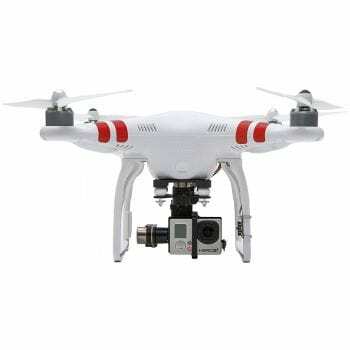 The DJI Phantom 2 V2.0 is an upgraded version of the original Phantom 2 with better motors and propellers for increased thrust, and a more intelligent and lasting battery. Another feature that makes the difference is the upgraded remote control which supports gimbal control and indicators that show you the remaining battery power. Just like the original mode, the v2.0 is equipped with a return home function, an integrated GPS system, plus other amazing features, which prevents it from crashing. Even more, the 3-axis gimbal is quite advanced as it offers excellent camera stability and smooth video recording. But keep in mind that the gimbal doesn’t come installed – this is something you will have to do. One thing to keep in mind: the drone doesn’t allow WiFi streaming because there may be interferences with the remote control. Still, there is the possibility to activate the FPV feature. For this, you will need to purchase a 5.8 GHz video transmitter and receiver, and an FPVHub connector kit. 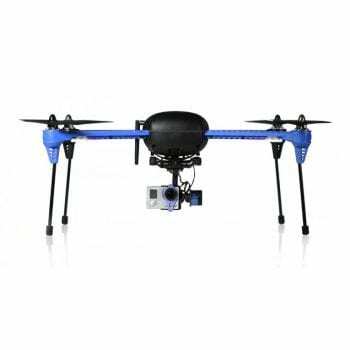 The 3DR Solo Drone it is widely recognized as the world’s first drone with an artificial brain. 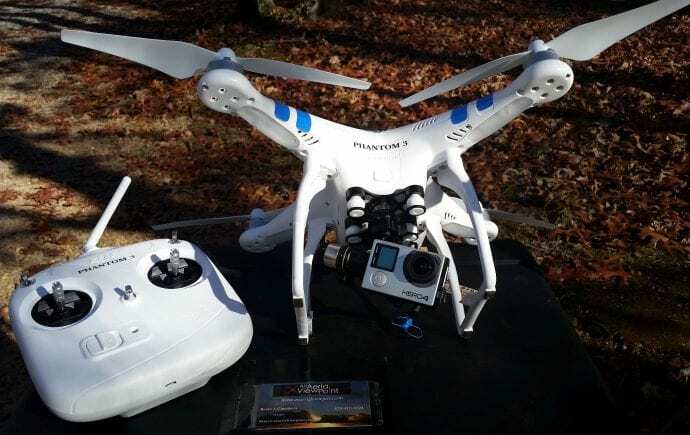 To make sure you get the best aerial photography experience possible, the drone is powered by 2 x 1 GHz computers and it promotes a sturdy build and a high-quality case. The gimbal is specially designed to offer the smoothest video quality possible and to offer you control over camera actions while in flight. Initially, the drone was designed for the Sony R10C camera, but the GoPro Hero latest models work extremely well too. The best part is that it provides HD streaming directly to your phone or tablet (compatible with iOS and Android devices), using the WiFi connection available. The Smart Shoot technology was created to enhance the quality level already supplied by the GoPro. Now, you won’t have to make extra adjustments as all your footage and stills will look amazing even in automatic mode. The drone can be easily controlled by beginners as it allows for a video game style controller. Still, given the fact that it packs so many professional features (for video and photography) many people use it for professional aerial imagery. The 3DR Iris+ Quadcopter is compatible with GoPro Hero but it doesn’t come equipped with a gimbal or a camera support. These will have to be purchased later, adding to the overall cost of the drone. However, the fact that it doesn’t have a pre-set camera mount opens the door to new possibilities and tweakers will definitely be thrilled! Another great feature on this quad is the “Follow Me” mode. 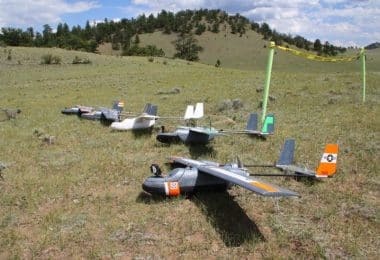 The drone can be programmed to follow a specific pattern or follow the controller on the ground keeping a safe distance. Even more, you can set it to shoot the same spot from various angles, which allows you to explore new filming techniques. 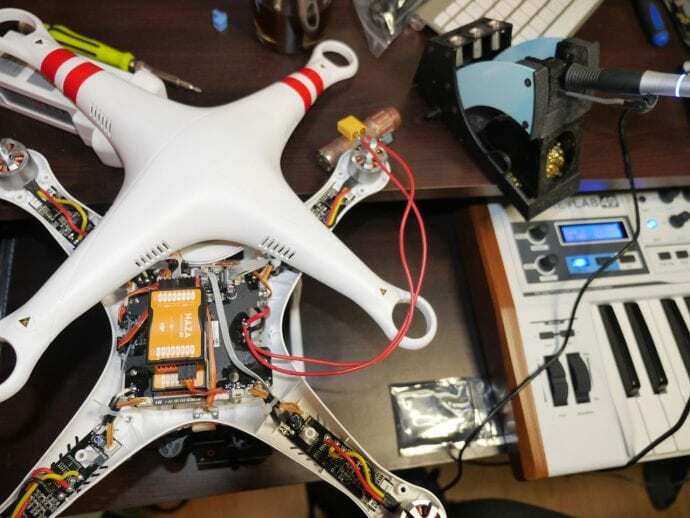 To program the drone, you simply have to connect with an Android device, a PC or a Mac. To up the challenge, the quad is equipped with an advanced GPS system which allows it to return home when the signal is lost or the drone loses its pre-set path. This makes it great for beginners. 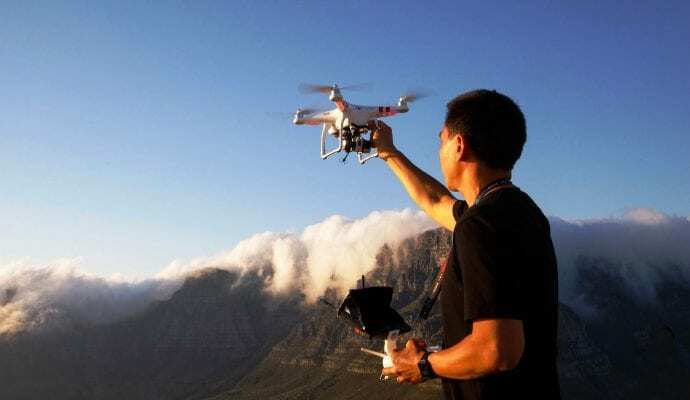 Most users who own this drone love the “Follow me” module as it allows them to film their adventures without another person’s help. Do you want to jump with your bike from a cliff? Simply set the drone to follow the controller, put it in your backpack and do your thing. The drone will come following. At a first glance, you might say that the Cheerson Cxhobby CX-20 Professional is similar in design with the Phantom models from DJI. And you wouldn’t be too wrong. However, when you look closely, you’ll see that the two model series are quite different in both design and features. Thus, the CX-20 feels lighter and cheaper when it comes to the material used for the body. Still, the plastic used is durable so it will resist several mild crashes. Also, the compact design makes it easy to move around so this is a great drone for traveling. The CX-20 doesn’t come with a camera, but the 6-axis gimbal is a perfect fit for a wide range of action cameras like the GoPro models. It also has a good GPS system, return home at the press of a button, FPV mode, and headless flight. Finally, you should not treat this drone as a toy! It may be lighter than the Phantom but it is still quite heavy for a beginner. The Yuneec Typhoon G is the only model from Yuneec designed specifically for a GoPro Hero action camera. Even more, the automatic features like ‘Follow Me’ offer amazing ways to use the GoPro as creative as you want. However, this feature is only available in Smart Mode, which is the mode most beginners would want to use for this drone. There is also an Angle Mode recommended for more advanced pilots. The ST10+ transmitter is also a great addition since it allows you to see everything the drone sees in real time. With a 400m range and a built-in warning for low voltage, this is the ideal controller for a GoPro quad! 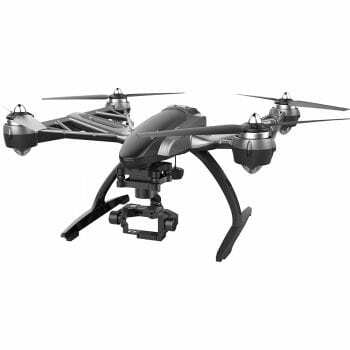 Even more, the fact that the 3-axis gimbal is included in the package makes this drone more attractive. Well, the first thing you’ll notice at the Ionic Stratus Drone is the design; and not because it’s extremely elegant but because it looks angry. The front LED lights look like a pair of mean, furious eyes and give the drone a fierce, war-ready aspect. So, if you want an intimidating drone, this is definitely the one! Now, to move on to more serious things, this is one of the first drones to feature an affordable 6-axis gimbal. Even more, the drone is protected by smartly designed guards and is equipped with headless mode which makes flying a piece of cake. One feature that makes the Ionic drone unique is the fact that it can perform stunts. This can be an impressive addition for any creative photographer or videographer who wants to impress the world with unique footage. This product comes with a GoPro camera mount (camera not included) directly from the box. 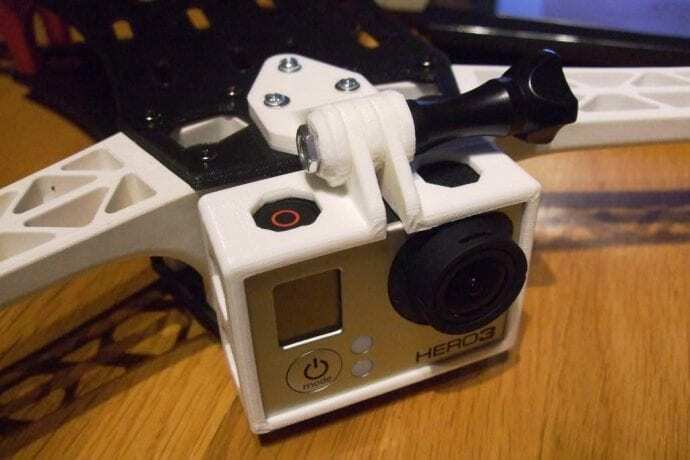 All you’ll have to do is simply mount the GoPro, charge the battery and start flying! Of course, you can mount other types of camera on it as it is designed for low-weight action cameras. 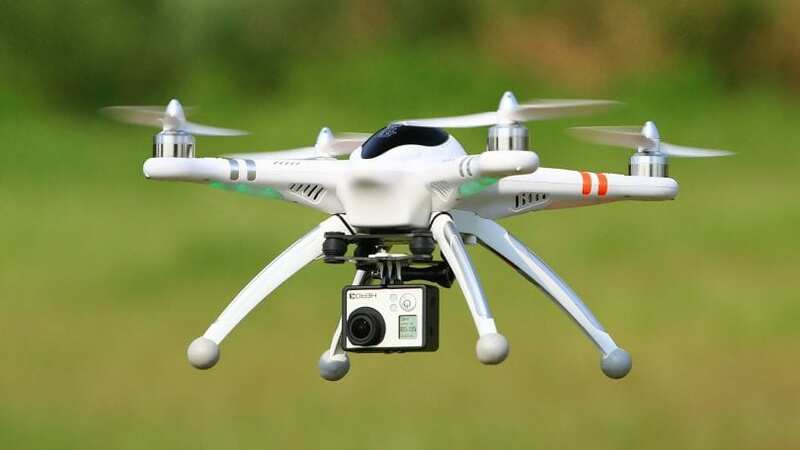 The maximum flight time is 15 minutes on a single battery charge, and its maximum range is 300 m. Still, this varies according to the weight of the camera or wind conditions it has to face. 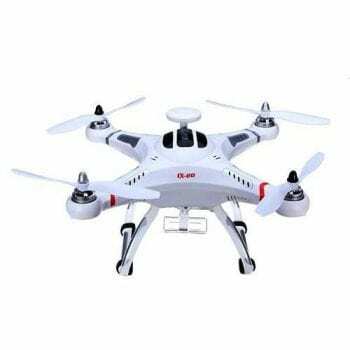 Those looking for a GoPro drone will find solace using this quadcopter as it is designed with reliable features that will enable you to shoot high-quality videos and photos. It offers excellent safety features, simple controls, and great GPS performance. 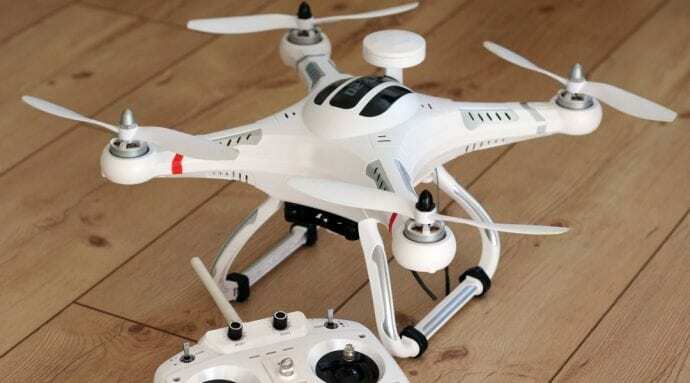 The Blade 350 QX3 is designed to fly smoothly and can be controlled by beginners quite graciously. 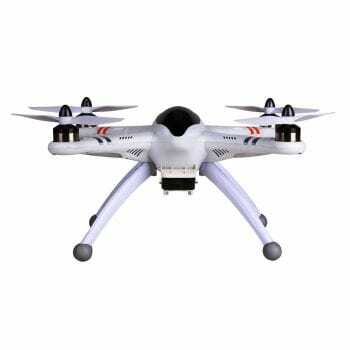 Even more, it has a mast-mounted GPS antenna which allows for the return home function and stabilizes the quadcopter when something happens or it simply goes out of range. 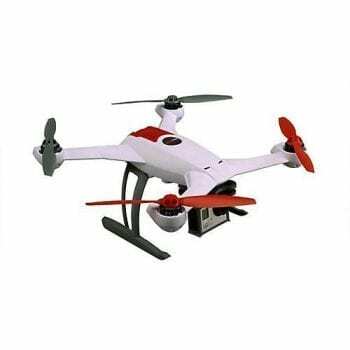 Blade 350 QX3 RTF is surely a wonderful choice for your GoPro camera. However, users recommend investing in a gimbal for extra stabilization. Its affordable price and excellent safety features make it a unique product. This is actually the first quad in the pro category from Walkera. The Walkera QR X350 PRO is definitely a powerful drone, with a sturdy body and great features that make it a good purchase for both professionals and amateur photographers. The drone is equipped with one-button return home feature and hover mode which are both extremely useful. Also, this version is usually equipped with the iLook camera which works extremely well with the DEVO 7 controller. Still, the gimbal is perfect for GoPro Hero as well so there is no problem in changing the cameras. The only problem is with the FPV transmission as you’ll need to add a video receiver to the controller. 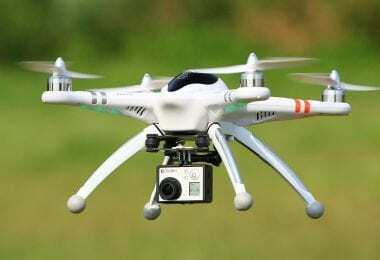 Keep in mind that the drone can fly quite fast so beginners may have problems flying it correctly. Do i really need a quadcopter with Gopro? Do you love aerial photography? 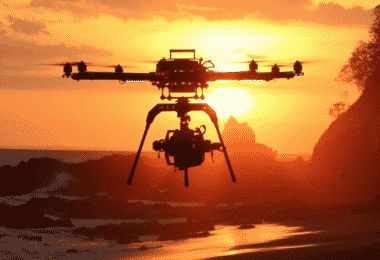 Believe it or not, these bots are taking over the aerial filming industry at an alarming rate. Drones like the DJI Phantom Aerial version have already been used to film live local football matches in the UK! Many people love the idea of exploring the airspace. These quads have the ability to let you explore the air like never before. They are safer as one doesn’t need to be on a plane to enjoy the pleasures of flying. In addition, the drones with FPV feature will give you an experience similar to the plane. Lastly, these quads are incredibly easy to control thus will ensure you have the flight experience of a lifetime. How about fun …fun and more fun? 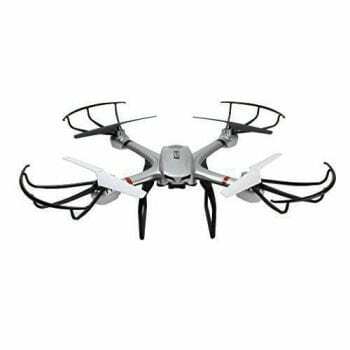 If you are wondering of the best toys to bring back the fun in your life, these drones will be your solution. They are able to perform air acrobatics like rotating (360 degrees) with speed, sway with ease, and make many other movements while the cameras record every single move. For instance, the DJI Phantom Aerial, the Blade 350 QX3 and the 3DR IRIS quadcopter have an added feature of remote controlling via the GPS. This makes their flying space limitless. In addition, almost all of them are programmable and thus will allow you to develop customized pre-programmed moves that will suit you. Keep in mind: Use of these drones follows varied state regulations as most of the quadcopters with GoPro have very high-performance features and can be used for illegal activities like spying. Thus, most states have regulated laws that regulate their usage. Who should buy a gopro quad? We had already examined a few guiding questions above. Below are suggestions of people who will soon need to consider a quadcopter with GoPro in their lives. Hobbyists: if you have prior experience in flying drones and you love the experience they create, these quadcopters will bring a breath of fresh air. They all have cameras and they have the latest designs. Photo freaks: if you love taking photos or your career demands a lot of photos, the quadcopters with GoPro will obviously thrill you. Not only do they bring a new experience in photography but they are also very effective for shooting live events like parties or weddings. Surveyors: the ability of most of the quadcopters with GoPro to be controlled remotely via GPS makes them an ultimate companion to survey wide areas even from remote locations. Drones with included camera are easy to set up as they come already welded while GoPro drones will require you to set up the camera. The cameras are always tested thus can hardly have compatibility issues. The quads that only come with the mounting support may have problems with certain GoPro cameras and you must do some research before buying. However quads that are already equipped with a camera don’t support any upgrade (camera wise). Also, many offer low quality or the camera has very bad angles that catch the propellers or the landing gear in the footage. Day by day, newer trends, brands and inventions surface the market and the GoPro camera on a smooth flying quad is definitely one invention you should try. Below are a few pros and cons associated with these particular quads. Improved image & video quality: drones with the new GoPro feature are unmatched when taking pictures as most of them have advanced cameras. In addition, the ability to rotate the camera alone separate from the entire drone makes them best in recording videos. Longer control distance: since most of them can be controlled by the GPS, they are easy to locate and control even remotely. Are quite easy to control: this is because most of them are controlled by applications unlike the traditional analog drone controllers. Longer battery time: unlike most quadcopters that have less than 15 minutes, most of the GoPro quadcopters have a flight time of between 20 and 60 minutes when fully charged. Some of them are likely to experience connectivity problems when being controlled remotely. As you can see, there is a lot of place for your GoPro camera in the world of drones. Now, regardless of the fact that you are an adventurer who wants to immortalize their stunts, or you simply appreciate the amazing quality these cameras can offer, you should make sure to select the right quad for the job. We hope our reviews will be of help, but if you know other quads that made your day with a GoPro, please let us know in the comments section. Delivery Drones: The Future of Delivery Business? BEST PICK Best FPV RC Planes: Let The Fun Begin!